Select an area in the garden that receives full sun to partial shade where the soil drains well. Loosen the soil to a depth of 6”-10” and amend with compost if necessary. Place bulbs into the soil 1”-2” below the soil level, and be spaced 4”-6” apart. Tamp down the soil and water well. 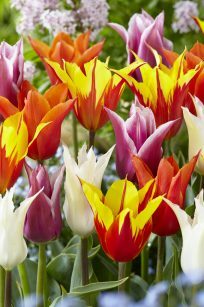 With flowers that are tall and elegant, our Lily Flowered Tulip Bulb Mix will bring grace and charm to the late spring garden. 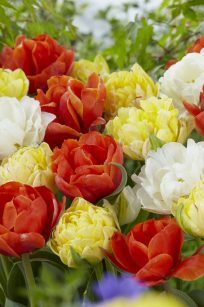 Shades of red, orange, yellow and white flowers, both solid and bi-colored, bloom atop strong, tall stems. 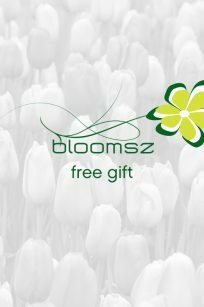 The large thin blooms resembling lilies have elegant pointed petals. 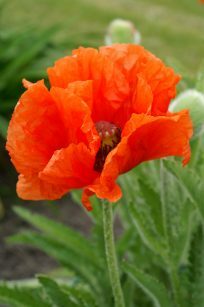 As they lengthen, they begin to open fully to a shape that is almost flat. 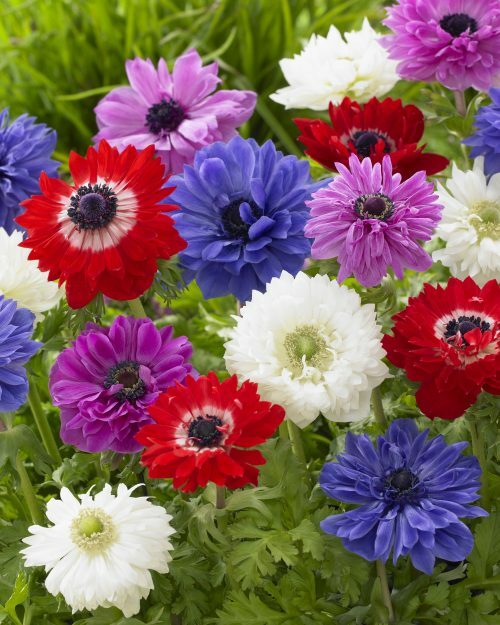 Plant them in drifts or in spaces where color is needed. 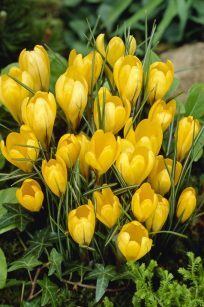 All 8 bulbs planted together in a single container will brighten a porch, patio, deck, or balcony. A single stem in a tall narrow vase is all that’s necessary for a dramatic centerpiece.